ChiaoGoo RED Lace 32 inch (80 cm) Stainless Steel Circular Knitting Needles are made from premium stainless steel with a multi-strand, nylon-coated steel cable. The cable is very smooth and flexible with no memory. That means no dunking it in hot water to straighten the cables out! 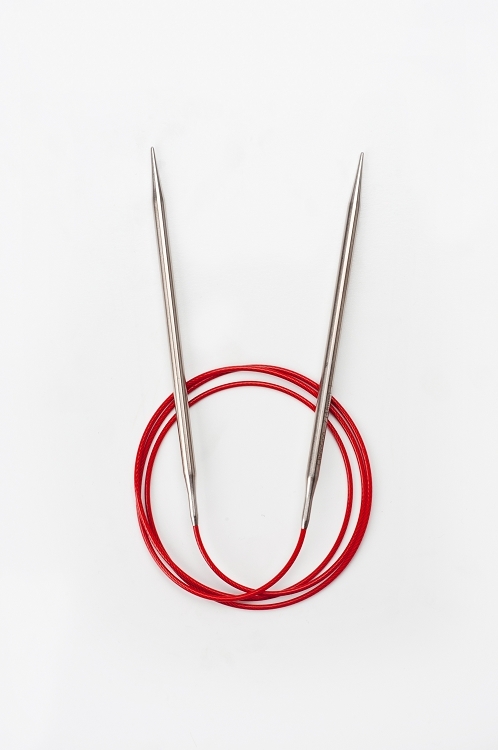 Note: Red Lace circulars US sizes 000 and 00 available in lengths: 16, 24, 32 and 40 inches. Note: The 16 inch circular is not manufactured in a US-17 or US-19. All circular lengths are measured from tip to tip. Q: do the circular metal needles twist like the bamboo do? Q: what is the length of the tips? 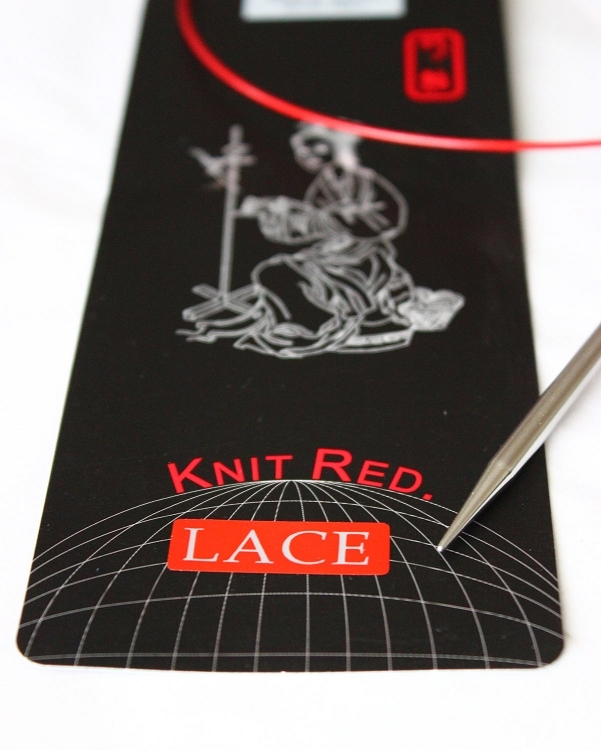 Q: Why is $1 being added to the cost of some of the Red Lace Circulars? The price of the needles increase as the US size increases. The $1 or more is the price plus the increase due to the larger sizes costing more.